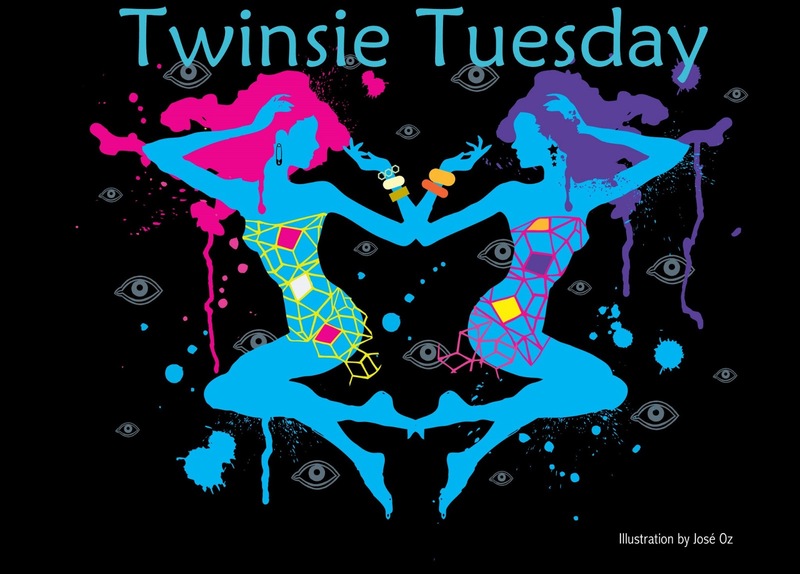 Polish and Charms: Twinsie Tuesday: Inspired by another blogger! Twinsie Tuesday: Inspired by another blogger! Hello everyone! This week's theme is inspired by another blogger. I chose to recreate a mani done by Peace Love and Polish! Her's uses rhinestones, I didn't have any so I improvised and used glitter. If you click on her blog link you can see the original manicure. I used a basic black and matte topcoat. Enjoy! Don't forget to check out the other ladies inspiration! Matte black is the best! It looks like some kind of cobblestone or something. I like it! 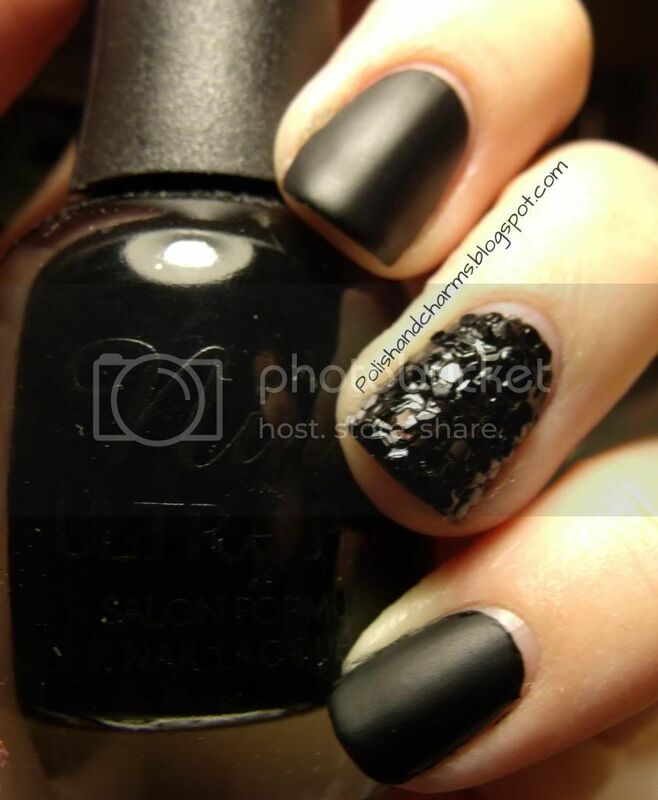 Classy and edgy - beautiful mani! She has some amazing creations! Thank you! Love this! It kind of looks like some really cool stone! This is gorgeous! I loved her mani, and your take on it is so beautiful, too! Really love how edgy this looks! So awesome, Meredith! Loved Heather's original, and I love your recreation--the loose glitter is fabulous! Meredith I'm so sorry it took me to now to see this! I'm just getting around to my blog readings for the week! I feel so honored you chose to recreate this! 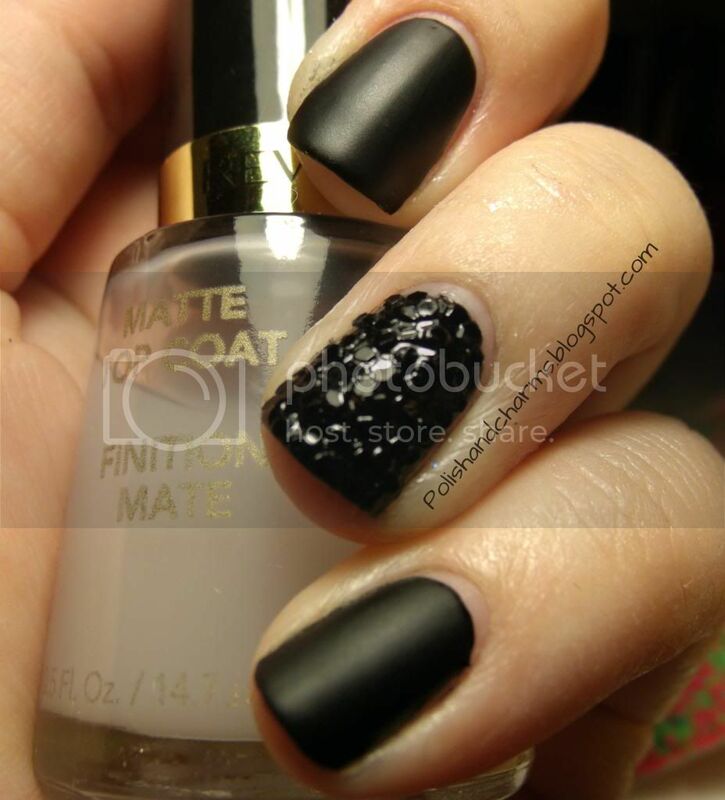 I love the matte coat on your nails, so this is perfect! And the glitter honestly looks amazing! No worries! Thank you so much!